Going through some scanned in slides, I came across these two D&H scenes from the 1980s. 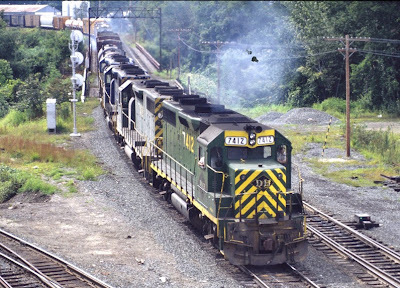 Even though the nose clearly shows these are D&H diesels, there is no mistaking what these two units heritage is by their green and yellow paint scheme. Detail are sketchy regarding what these train symbols were. -The first slide was taken in August, 1982 at East Deerfield, MA with D&H 7412 (GP39-2) leading three other unidentified diesels. Those black spots in 7412's exhaust are scratches on the slide! 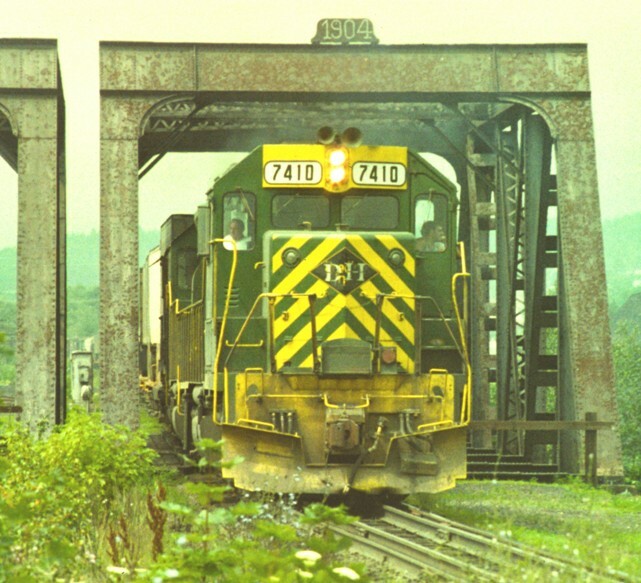 - In the second scene, D&H 7410 is seen passing through Olyphant, PA in April, 1981 with its load of mixed frieght. As a side note, D&H 7410 still labors on today as CSX 4316 according to information found on the Internet. 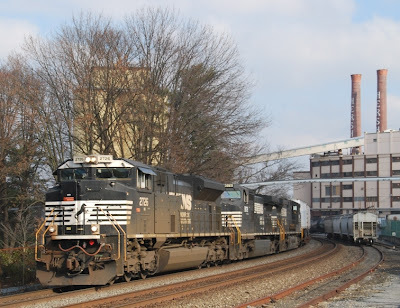 HARRISBURG, PA. – Norfolk Southern is moving forward this week with plans to expand operations at its Rutherford Intermodal Facility near Harrisburg, Pa., after the U.S. Department of Transportation awarded a $15 million TIGER III grant to the project. 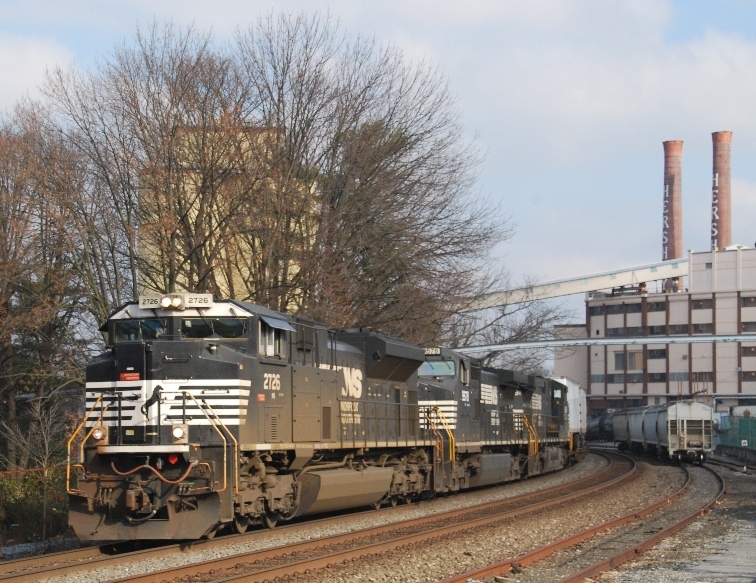 The $60.5 million project – expected to finish in 2014 – will help Norfolk Southern meet growing demand for intermodal freight transportation in the Harrisburg region. When completed, expanded operations could result in about 400 new direct and indirect jobs in Swatara Township and the surrounding Dauphin County community, in addition to construction jobs beginning as early as 2012. Intermodal transportation involves the use of two or more transportation modes (train, truck, ship) to move shipping containers and trailers from origin to destination. “Growing demand for intermodal rail transportation means more jobs for the Harrisburg region and fewer long-distance trucks on congested interstate highways,” said Norfolk Southern CEO Wick Moorman. 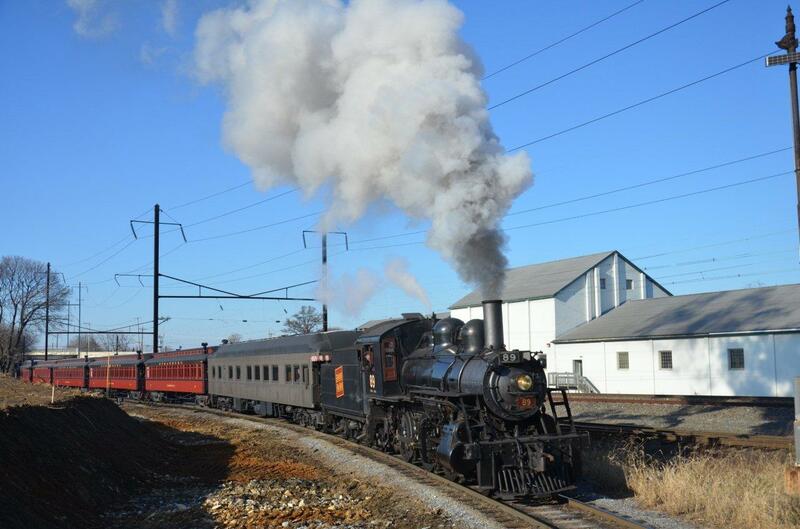 “This project and the TIGER grant will help Norfolk Southern meet that demand and provide a boost to the local economy. Expanding the Rutherford Intermodal Facility will result in tremendous economic development for Central Pennsylvania, as well as environmental benefits. Railroad locomotives can move a ton of freight 484 miles per gallon of fuel. That’s 75 percent fewer greenhouse gas emissions compared with moving freight by truck. “We are grateful for the support of Gov. Tom Corbett and PennDOT. 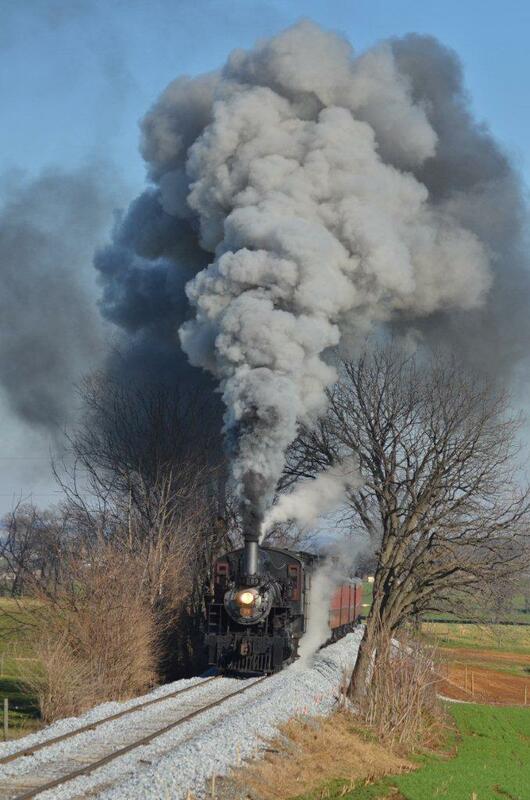 They are committed to improving transportation in Pennsylvania, and they recognize railroads are a vital part of that. 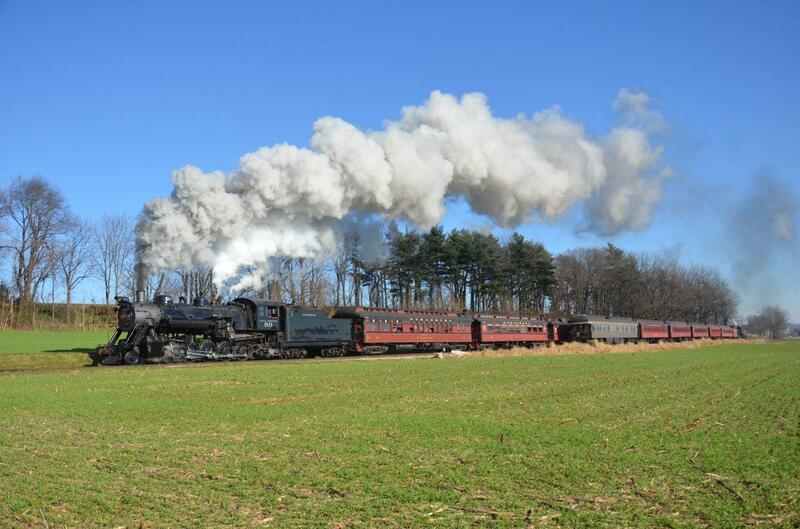 We also would like to thank Secretary Ray LaHood, Sen. Bob Casey Jr., U.S. Rep. Tim Holden, state Sen. Jeffrey Piccola, and state Rep. John Payne for their leadership and advocacy on behalf of the Rutherford project,” Moorman said. The Rutherford intermodal facility and the Harrisburg region are key routing points for freight rail traffic moving east-west and north-south through Central Pennsylvania. 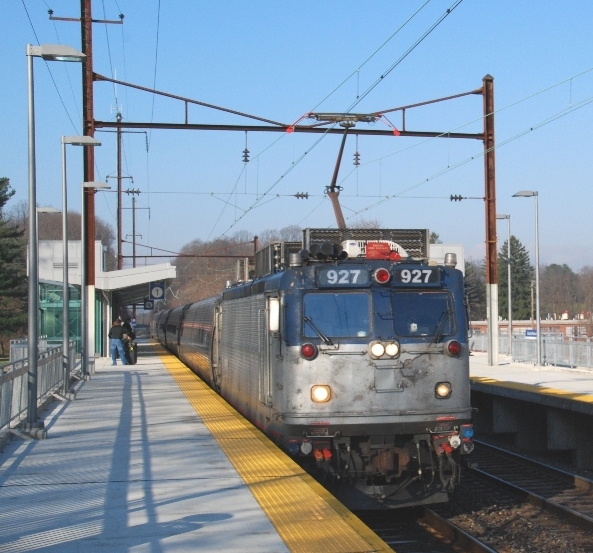 The Harrisburg region also is an important part of an existing 2,500-mile rail network called the Crescent Corridor, stretching from Louisiana to New Jersey, where the railroad company has identified $2.5 billion in infrastructure improvement projects. These projects would link key markets in the Northeast and Southeast with high-quality intermodal rail service and should support some 73,000 jobs, remove long-distance trucks from the highways, lower emissions damaging to the environment, and boost the economy. Add about 400 permanent jobs to the local economy. These include crane operators, truck drivers, and service industry employees. Expand intermodal capacity by 50 percent. Alleviate traffic problems on Grayson Road and Mushroom Hill Road by moving the Triple Crown Services truck entrance about a mile east to avoid a private grade crossing. 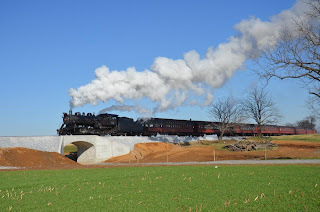 The Rutherford expansion is one of three significant economic projects Norfolk Southern has slated for Central Pennsylvania. The other two are a new $96.9 million intermodal facility under construction near Greencastle in Franklin County, and a $28 million expansion of operations at the Harrisburg intermodal terminal on Industrial Road. For more information about the Crescent Corridor, visit http://www.thefutureneedsus.com/. Received the following set of pictures via email from Kermit Geary, Jr. Photos and captions are his. 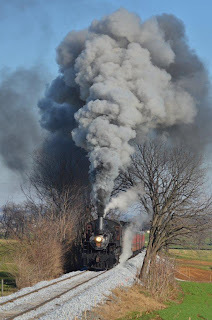 These were taken last weekend on the Strasburg Railroad in Pennsylvania. To view a picture full size, merely click on it. Then use your browser's BACK botton to return here. 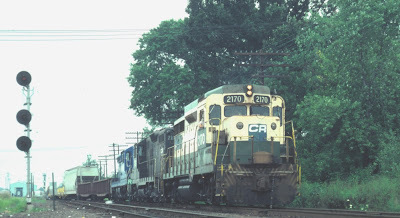 August, 1981 found me crossing over the Anderson Street grade crossing in Raritan, NJ. Looking west I noticed a train's headlight approaching and thought I would wait around to see what was coming. In the lead was CR 2170 (GP30; ex-RDG 3602) leading a mixed freight. Still familiarizing myself with a new 35 mm camera, I photographed it as it approached the grade crossing. In this scene, NJT's engine facility can be seen off to the left in the background. ﻿Now fast forward to December 11, 2011. 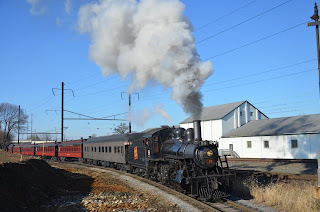 It is around 8:15 AM as the "Santa Claus Train", sponsored by the Jersey Central Railway Historical Society, approaches the Raritan station. With the exception of the signals being obvious, other changes that have occurred over the thirty years between these two scenes are rather subtle. 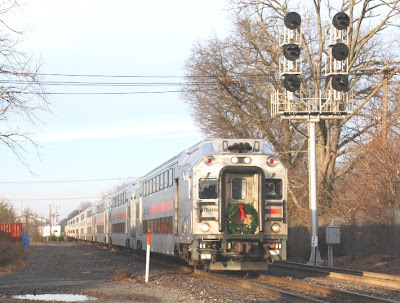 Due to reduced shipments expected over the Christmas holiday weekend, Norfolk Southern will suspend most train and terminal operations beginning Saturday afternoon, December 24 with normal operations returning by 7:00 AM Monday, December 26. Operations necessary to protect critical shipments and to assure a rapid return to scheduled operations will continue through the period. Local train operations (pickup and delivery) during this period will be based on customer requirements. Where local service (pickup/delivery) will be required through the holiday period, customers are encouraged to contact their Operations and Service Support representative. We have received more Lionel "pre-owned" collectible items for consignment sale. These are new in-the-box items from a collector, not directly from the manufacturer, hence the designation "pre-owned." They include a number of animated or operating cars, regular cars, and a few locomotives. We also have some O-scale animated modules. These are being sold on a first come first sold basis, and it is highly unlikely that we will ever have any of these items again. The best way to find out more about this equipment would be to come into the store. Otherwise, you can phone or send an email. Contact information is at the top of the sidebar on the left. Also see our post dated Friday, November 11, 2011. 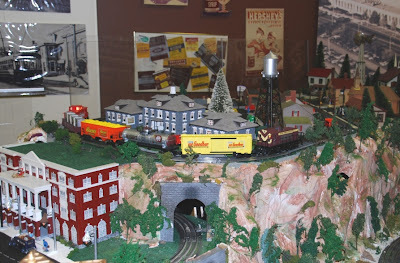 Photo 1- There was a O-gauge layout set up in the Derry Township Historical Society's building that I went in to see. It was quite an impressive seeing it in operation. 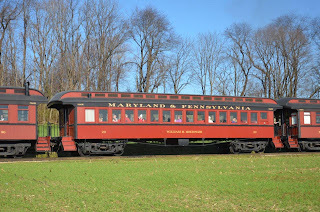 Seen here is the "Hershey Special" featuring rolling stock of various Hershey products. That was only one of the many trains running simultaneously. 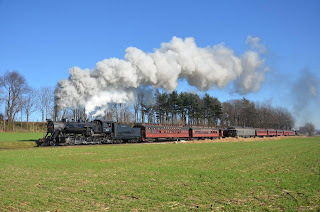 Photo 2- Was taken at the Elizabethtown AMTRAK Station on Sunday morning just as Train 664 was pulling into the station to pick up five passengers. Since 1985, I have been photographing the changes this station has undergone. With renovations now complete, I will say this is one of the nicer stations I have seen. Photo 3- With my wife waiting patiently in the car, I wanted to capture this one image that showed those Hershey lettered smokestacks. Bless her heart and patience with me for allowing me to get this image of what I think was NS 21M! NORFOLK, Va. - The chief executive officers of the region's Fortune 500 companies and the mayors of the three largest South Hampton Roads cities are teaming up to explore how the region could benefit from potentially sharing public services. The Hampton Roads Partnership is organizing the pilot Hampton Roads Shared Services Project (SSP) with Management Partners, a Cincinnati, Ohio-based management-consulting firm that specializes in helping local government leaders. This joint public-private venture combines the business expertise of the top executives from Amerigroup, Dollar Tree, Huntington-Ingalls, Norfolk Southern Corporation, and Smithfield Foods with the municipal government acumen of the leaders of Chesapeake, Norfolk and Virginia Beach to analyze those services that offer the greatest opportunity for successful integration to reduce service delivery costs while providing the best service quality. 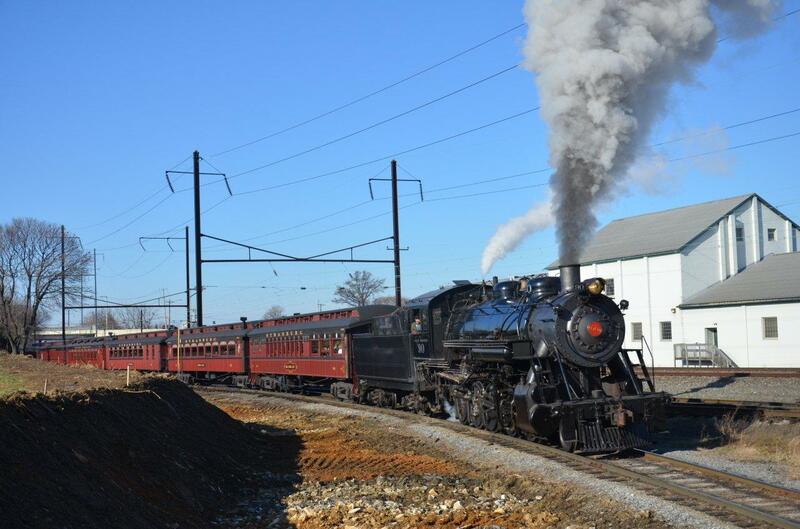 "With multiple adjacent cities in the Hampton Roads area, there are opportunities for cities to share services and avoid the costs of providing those services separately," said Wick Moorman, CEO of Norfolk Southern and chair of the SSP. "The ability of business leaders in the region to work successfully with government leaders offers a particular opportunity to take advantage of shared services and reduce the cost of local government." Management Partners recommended the Hampton Roads Partnership take the lead role in organizing shared services projects as part of a coordinated regional initiative. 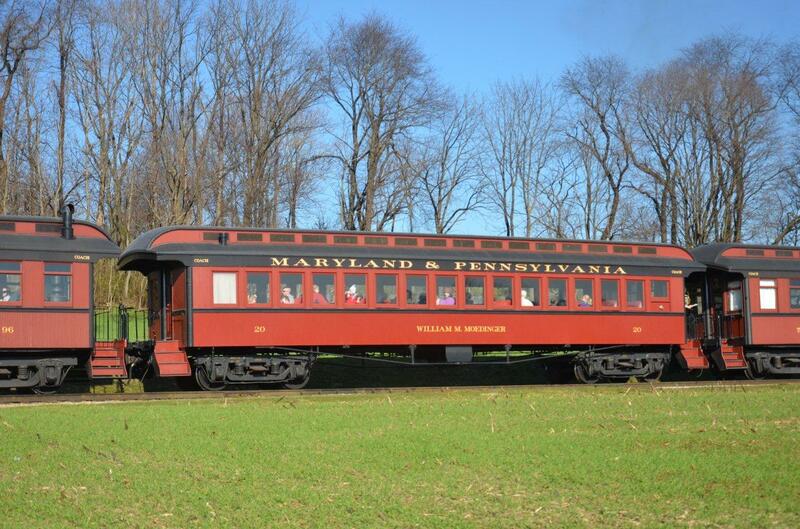 The first pilot project includes the cities of Chesapeake, Norfolk and Virginia Beach. Results will determine potential future projects. The steering committee guiding the project held its first meeting Nov. 30. The steering committee includes E. Dana Dickens, III, president and CEO of Hampton Roads Partnership; William Harrell, Chesapeake City Manager; Rick West, Chesapeake City Council; Marcus Jones, Norfolk City Manager; Barclay Winn, Norfolk City Council; Jim Spore, Virginia Beach City Manager; Glenn Davis, Virginia Beach City Council; James Fothergill, chief people officer of Dollar Tree; Jeff Gough, Smithfield Foods vice president for Human Resources; and Tina Gill, Amerigroup vice president for External Relations Operations. Jim Hixon, Norfolk Southern executive vice president-Law and Corporate Relations, serves as chair of the steering committee, which plans to meet monthly. Cost of this pilot project is $150,000, shared equally among the participating cities and five Fortune 500 companies. "We all know that government at every level is trying to figure out how to maintain and even improve services under difficult budget conditions," said James G. Carlson, chairman and chief executive officer for Amerigroup Corporation. "We are certainly happy to help, especially when we see local leaders willing to put aside boundaries in search of more affordable and effective services for their constituents. This makes sense for all involved." The team will scan each of the three cities' organizations to identify public services for further analysis, assess which of those services are the most likely candidates for sharing among jurisdictions, analyze the costs and benefits of integration and identify the steps required to integrate them. "The ultimate objectives of the project are to save taxpayer money and improve government efficiencies," said Dickens, "which could also establish a basis for future sharing and improvement of services for citizens." "This project will not solve every budget problem, but it's a great start using collaboration, cooperation and consensus," said Management Partners president and CEO Jerry Newfarmer. "Sharing services is not a new idea; it's as old as local government itself. The Hampton Roads' project has real potential, though, with this trailblazing partnership of city governments and the business community." Targeted for completion in early 2012, the team will produce a report, which municipal leaders could use to implement shared delivery of specific services and potentially make a positive impact on their budgeting process. Management Partners has recommended this approach based on its extensive experience in helping a large variety of governments under different circumstances take advantage of opportunities to consolidate or share in service delivery. Find more information including project progress at http://hrp.org/Site/sharedservices . The Hampton Roads Partnership is a public-private nonprofit organization formed in 1996 and represents ten cities, six counties and one town in Southeastern Virginia, equaling nearly 1.7 million citizens. Comprised of the chief elected officials of all seventeen communities as well as community leaders from the private business sector, education, military, and labor from both south Hampton Roads and the Virginia Peninsula, the Partnership is the only organization in Hampton Roads that focuses on the region's strategic issues for enhancing its competitiveness in today’s global economy with resulting income and job growth for its citizens. Led by the Hampton Roads Partnership and the Planning District Commission, the first region-wide comprehensive economic development strategy, Vision Hampton Roads, created a roadmap of strategies and actions - to engage citizens and embrace ongoing region-wide economic development practices. Management Partners, founded in 1994 by president and CEO Jerry Newfarmer, provides clients with the expertise of professionals with extensive experience in all aspects of local government management and the full range of city and county services. Staff includes former city managers, analysts, department directors and other public service professionals with experience in a variety of program areas. Newfarmer is a national leader in local government performance management, having led his firm to nationally recognized expertise in municipal development review processes, strategic planning, budgeting and finance, and organizational analysis. JACKSONVILLE, Fla. - November 29, 2011 - As millions of Americans head to stores or make online purchases, CSX has launched an improved Carbon Calculator aimed at helping consumers and businesses better understand the key role freight rail plays in a sustainable supply chain. "CSX's online Carbon Calculator not only helps our customers make smart supply chain decisions, it also helps educate consumers about the path items take to get to store shelves or their front door," said Carl Gerhardstein, assistant vice president, environmental systems and sustainability. "This tool demonstrates our commitment to responsible business and helps consumers understand how freight rail positively affects the life-cycle of the goods they buy." To demonstrate the efficiencies of CSX's network, the calculator compares the carbon emissions generated by freight rail to those of long-haul trucks over similar routes. Consumers are able to choose from a number of variables - from the type and volume of goods transported to the length of the route - to estimate the average carbon emissions reduced by shipping via rail. The tool also plays an important role for businesses, helping them optimize their supply chains as they bring goods to market more sustainably than ever before. The calculator provides shippers an opportunity to better understand the environmental benefits of shipping their goods via rail. The tool shows how intermodal shipments - combining both truck and rail transport to maximize efficiency - can drastically reduce carbon emissions. Check out CSX's enhanced carbon calculator on http://www.csx.com/ to learn how freight rail can reduce the environmental footprint of businesses and consumers alike.